My thoughts on recent movies I've seen in the theaters or watched on DVD. Based on a lifetime of movie watching with no prejudices: black and white or color, silent or sound, Hollywood or foreign, old or new. It’s been almost two months since the Academy Awards fiasco, generally considered one of the worst Oscar shows ever, if not the worst. It’s not too early to be thinking about next year’s show, and here are two “modest” ideas that are probably wishful thinking, and the logistics would be enormous, but would, I think guarantee huge ratings and interest. Plus, the timing is ideal for both. I know the Academy has put the kibosh on having special tributes during the broadcast. But that rule isn’t set in stone and can easily be amended. 2012 will see the 50th anniversary of James Bond. I can’t think of any screen series that has lasted as long as this one, one where a new entry is greeted with as many headlines and maximum box office returns as entries were from 50 years ago. How cool would it be to have all the 007 actors in person on the same stage. I don’t know if that’s feasible, or if everyone would agree to participate, but don’t you think half the world would tune in to see Sean Connery, George Lazenby, Roger Moore, Timothy Dalton, Pierce Brosnan and Daniel Craig all together on a stage, in front of a worldwide audience, to take their well-deserved bows to the accompaniment of the landmark James Bond theme? How nice it would be for the Academy to honor this series, not only for its longevity and entertainment value, but let’s face it, the enormous amounts of money it has returned to the industry. Heck, even introduce a parade of Bond Girls, villains and henchmen. Don’t be afraid of showmanship. The Academy is part of the entertainment industry, don’t shrug off showmanship. In fact, embrace it. 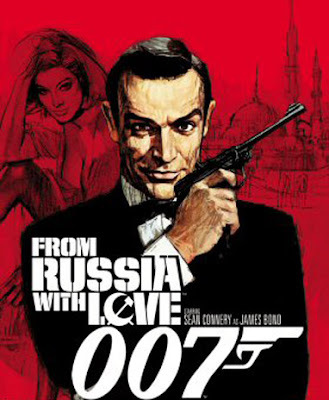 Include a nicely edited montage of 50 years of 007, complete with quips, memorable dialogue, amazing stunts, etc. It would be truly epic and something that would be talked about for years to come. A 50th anniversary only comes around once, so the Academy should take advantage of it. Guaranteed Audience Viewership Idea #2. This one would be trickier to pull off, but again would be one for the ages and be talked about for years to come. This summer will see the last Harry Potter film in release. No matter what the film ends up being, there’s no denying that the series is unique in keeping (almost) the whole cast intact over a period lasting 10 years and eight films. Such excellence should be acknowledged. I’m hardly the first one to say it, but the Harry Potter films boast pretty much a Who’s Who of the British acting community. Did any film series ever contain so much talent? Not just actors appearing in cameos, but inhabiting full blooded, almost Dickens-like characters? Regular cast members or those who had prominent roles in at least one of the films include, in no particular order: Robbie Coltrane, Alan Rickman, Maggie Smith, Michael Gambon (replacing the late Richard Harris), Helena Bonham Carter, Ralph Fiennes, Brendan Gleeson, Richard Griffiths, Fiona Shaw, Jason Isaacs, Gary Oldman, Kenneth Branagh, Timothy Spall, David Thewlis, Emma Thompson, Julie Walters, Warwick Davis, John Cleese, Robert Pattinson and Imelda Staunton. I’m sure I’m missing some people, but wow. And wow. Wouldn’t a worldwide audience love to see all that talent in one place, acknowledging their part in one of the most ambitious, and successful, film series of all time? Again, showmanship should play a big role here. Have a short film clip lasting a couple of seconds of say Severus Snape and then have Alan Rickman walk on stage. Do this with everyone. Watch the crowd go nuts and I guarantee people from around the world would tune in to see it. 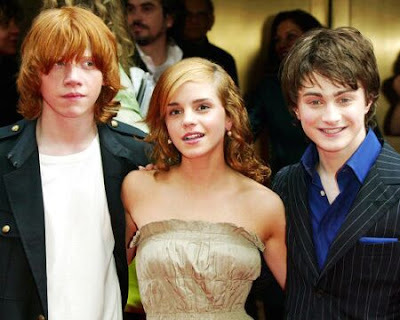 With filming schedules the way they are, I’m sure everyone couldn’t be there, but even if only half the Harry Potter cast were there, it would be one of the greatest gatherings of acting talents in one place ever. And then bring out Daniel Radcliffe, Emma Watson and Rupert Grint to take their bows. Showmanship people! Don’t be afraid of it. Embrace it. Celebrate in one evening two of the best franchises of all time. It would be talked about for years to come. This year’s Oscars was lacking in star power. I wonder how many would stay away knowing these tributes were on hand. They would likely get down on their hands and knees and beg Oscar producers to be a part of that show. Other improvements? Hire new writers and a host with show biz savvy. But we knew that already. I'm afraid the Academy has fallen in a rut with no way out! No more singing and dancing hosts. I'm all for a streaker or two every broadcast David Niven style! It's just been taken over by the younger Hollywood set which leaves me confused, drowsy and ready to drink large cocktails by the 2nd commercial break! I agree with assessment and your ideas. Page: I could be wrong, but it seems to me that for the last several years, they've been so afraid to put on an entertaining show that they're paralyzed. I want some good old fashioned show biz razzle dazzle. I do miss the broadcast tributes, though, to the greats of the past. I'm awful late Kevin, but I got here! I LOVE both of your ideas. I love tributes myself. I like the clips of movies and all that. How cool would it be to have the 007s together with a great montage of clips? They'd better get on the stick, though, while Sean Connery is still able to come on stage without a wheelchair! It would also be marvelous to have the Bond women and villains. The Harry Potter idea is also wonderful. Those movies are indeed populated by an incredible number of great actors. What is wrong with the Academy anymore? They did one good thing by getting rid of those long, stupid dance numbers by the Academy Award dancers, or whatever they were, and thank heaven for that. But the writers for the presenters are terrible, the presenters are often terrible, and this year's was one of the worst. The night of the Oscars, I did a little booing on my blog. Wish someone would take your advice! Kevin, I absolutely love your idea of the 007 actors hosting the Oscars on the anniversary of DR. NO. Where can I sign the petition to send the Academy? A lifelong movie buff, I work as an account supervisor at Lake Effect Communications, a public relations agency in Chicago.